Preparing for anything is always going to be important for you and your family. This is especially true if you don’t really know when those disasters could be coming. But for a lot of people, the type of tools they should have on hand are not always clear. The truth is that there are plenty of different types of tools that you should always keep with you in a disaster bag. One of the most important things you can have, which is going to make your life a whole lot easier is a lighter. 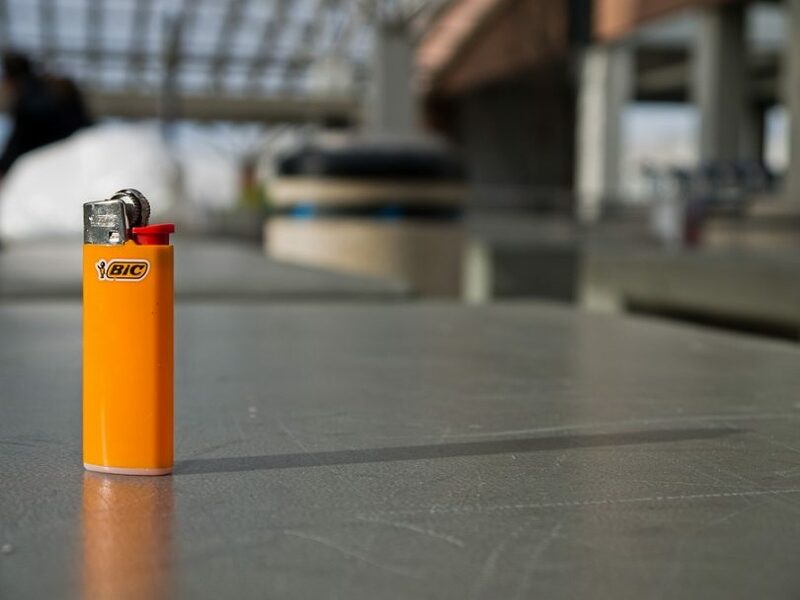 A lighter is going to help you get fire, something extremely important when it comes to getting out there in the wilderness, but of course, there are all different types of lighters to think about. Out of all the different lighters you’ve probably seen in your life, they nearly all actually fit into one of five different categories. Those 5 each have pluses and minuses to them so you’ll have to see which features are going to be the most important to you and your situation. There are definitely reasons that there are five different types after all and you may find you need to keep more than one ready in your kit so you can make sure you’re prepared for anything. 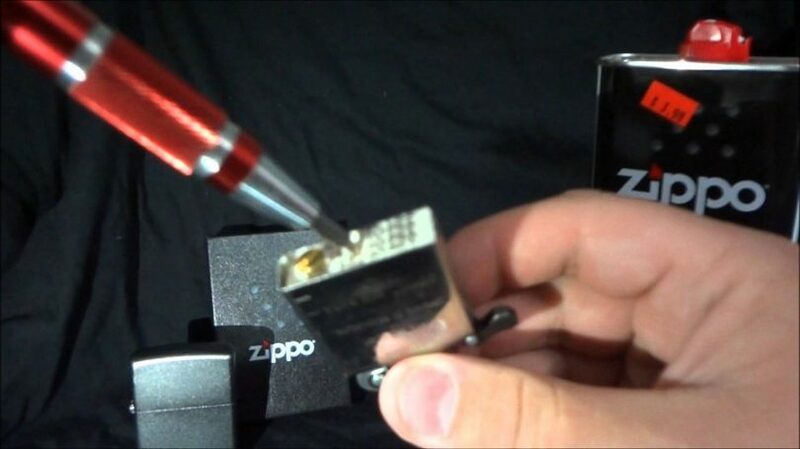 A Zippo lighter is the one that you have probably seen a million times. These are the ones that most people who smoke use and even people who keep a lighter around for birthday cakes and things are more likely to use them just because they are small and easy to use. You can set them down and let them burn themselves out even if you want to because it just keeps going once you turn it on. Unfortunately, they can be a little heavier than other options and when you don’t use them regularly the fuel tends to evaporate. This type of lighter is exactly what you would expect, no matter what’s going on around it you’ll be able to get a flame going. That means if the weather gets bad you still don’t have to worry about losing your flame because it’s entirely protected by the waterproof casing. These torches are very small and light, which makes them great for a survival kit, but they can be difficult to operate if it gets too cold outside and they cost a lot to run because the specialty fuel is expensive. These small lighters are generally attached to a keychain because otherwise you would lose them entirely, they’re really that small. They’re easy to use because the fuel you need is inexpensive and available just about anywhere and because they’re so small you can easily use them like you would a candle or just attach it to your kit and forget about it until you need them. Of course, you’ll need to make sure they stay properly closed because it’s very easy for the pieces to come apart and get lost. You’ll also need to keep extra fuel on hand because the fuel in the unit tends to evaporate over time. 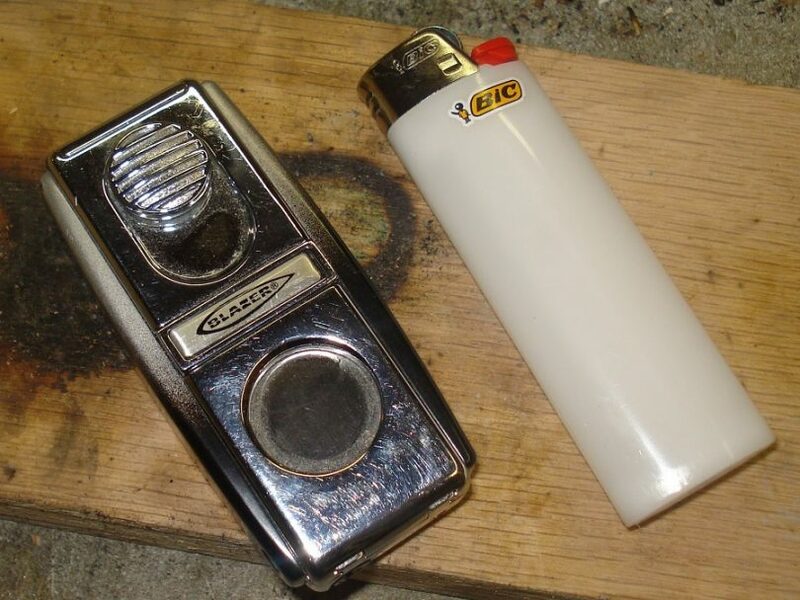 If you haven’t seen a Zippo before you’ve definitely seen a Bic lighter. All of those cute looking lighters sitting on gas station counters and in the supermarket checkout line are usually Bic because they can be personalized to look neat, they’re cheap to buy, easy to replace and you can even get them online in large quantities. Unfortunately, they aren’t able to be refilled so once they run out you throw it out and get another one (which can be expensive over time). They’re also pretty fragile, not useable in colder conditions or if you drop them. These lighters do exactly what they say, they float. That means you can drop them in a puddle and they simply float on top and continue to produce light without any problems. You can increase or decrease the flame to make sure you’ll have light or fire for longer and you can get an extremely hot flame. Plus they’re easy to refill. Unfortunately, in the cold they can be a little less reliable and they’re definitely victims of evaporation. When you’re looking to purchase a lighter you want to make sure you know what you’re really looking for. Not all lighters are made the same and even choosing between only floating lighters or only Zippo lighters isn’t going to give you the same thing every time. You have to look at all the different options and decide which specific lighters are going to give you the best results. After all, that’s how you’re going to get the best value for your money and also how you’re going to keep your family safe when it comes down to survival. 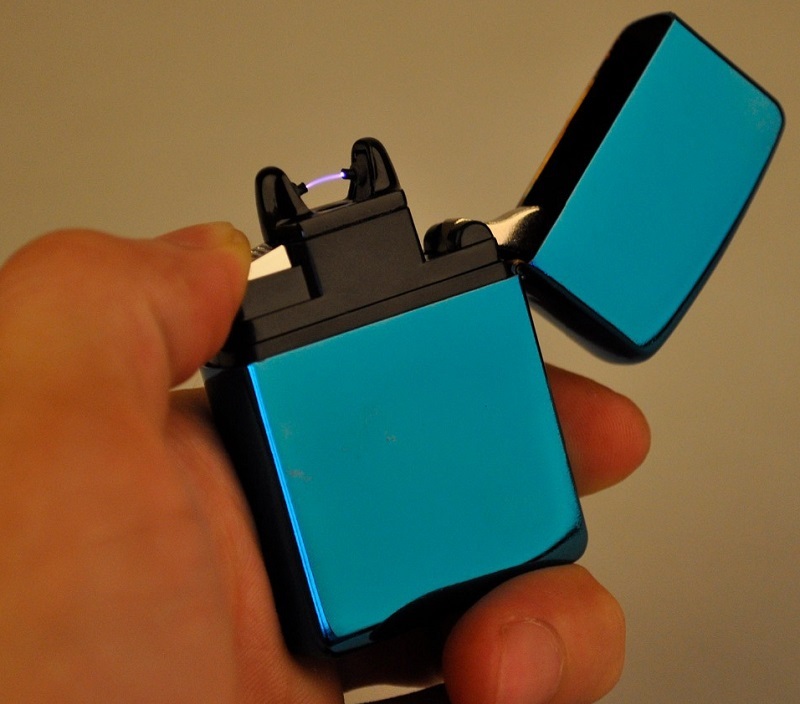 This is going to be one of the most important things about the lighter you buy. You want to be able to rely on it no matter what the conditions are outside and that means even if it’s pouring outside you want to be able to get that flame. With most of these you can not only use them when it’s raining outside, but you can also stick them right under the water and still use them. Some even work while still underwater and not just after being dropped in it. Check out our article on how to choose the top waterproof lighers – you’ll need it. You never know what’s going to happen when you’re in a survival situation. 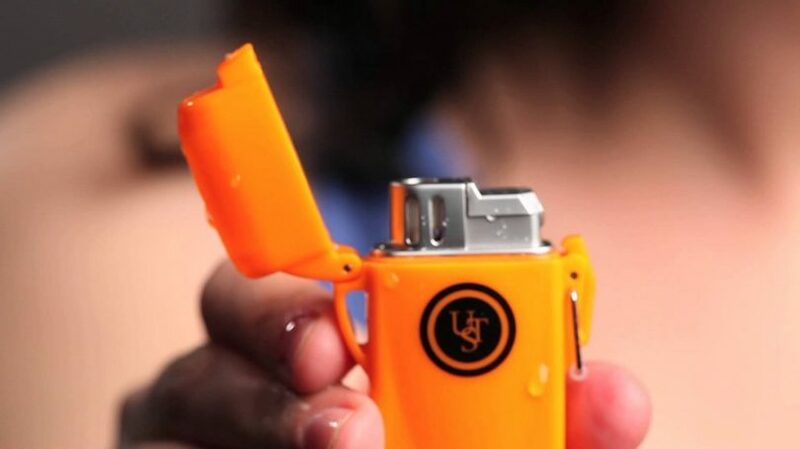 You need a lighter that’s durable enough that you can throw it in your pack and forget it until it’s time to use. And when it is time to use you definitely don’t want to find out that your lighter broke in your pack and there’s fluid all over. You also want to make sure that it’s not going to break if you drop it or even step on it. That means it’s sealed well and your family can rely on it better. 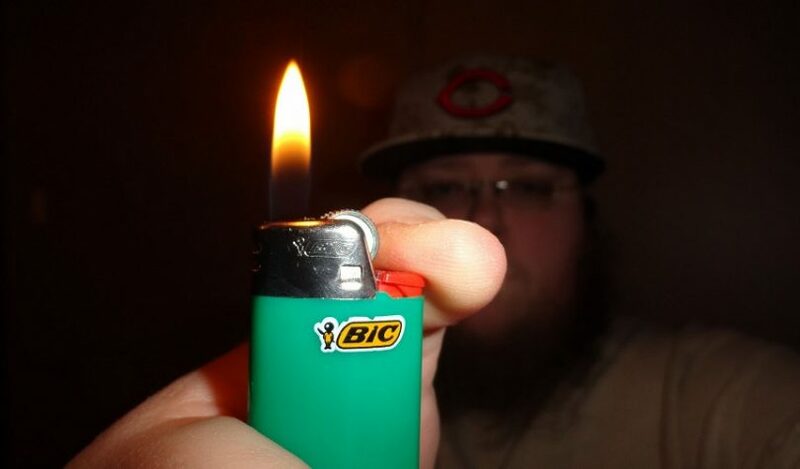 Many lighters, like Bic, require you to hold down on the thumb piece in order to get the flame. When you remove your finger, the flame goes out. This isn’t always a viable option when you’re in any type of survival situation where you really need the light but you aren’t able to hold onto it. 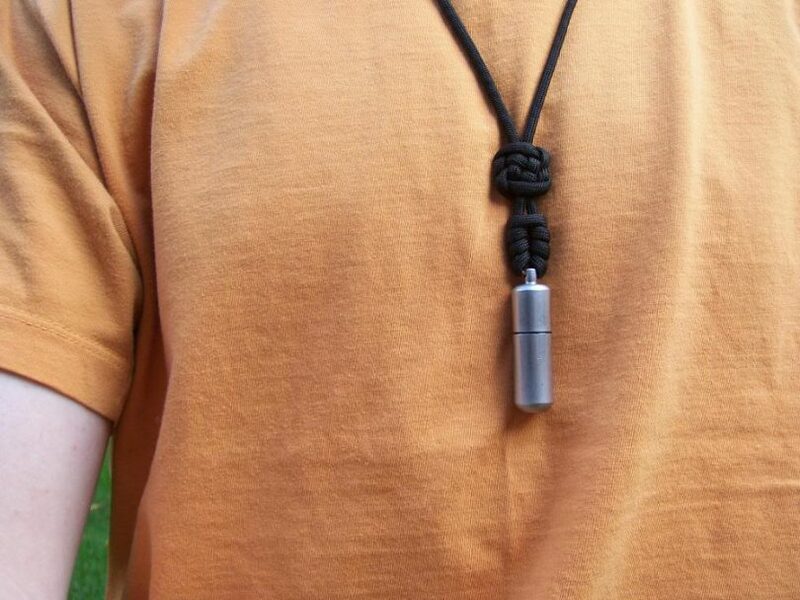 With many lighters you can get hands-free options that will help you do other things that are important to your survival while not losing your light or heat source. After all, a lighter isn’t just about starting a fire. When you’re focusing on your own survival every single ounce is important. 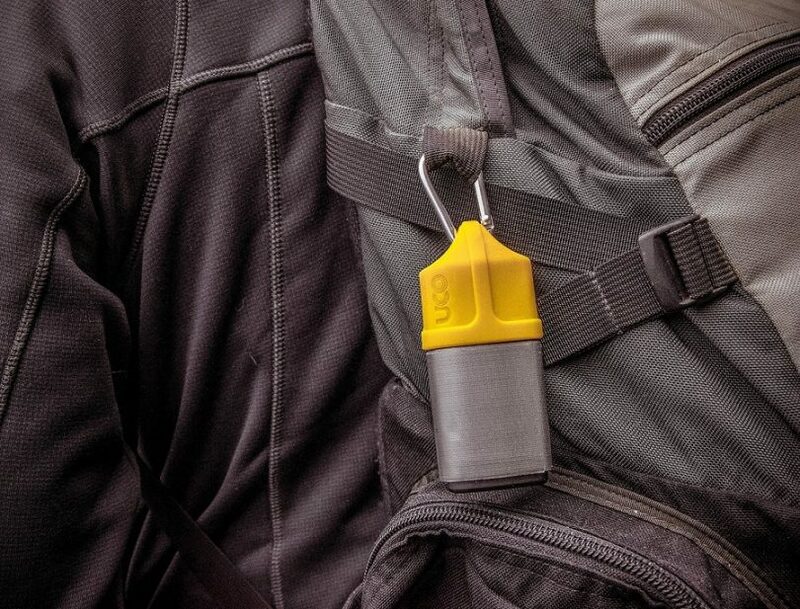 Just that little extra weight could be the difference between life and death out there and that means you want a lighter that’s going to be easy to carry and light to pack. The lighter the better, as long as it’s still going to do the job that you need. That way you may even be able to take a few lighters with you in case one runs out or something happens to it along the way. If you are able to refill your lighter you’re definitely going to be better off. Having to buy a large quantity of lighters to carry with you can be expensive and it can take up a lot of space. If you can buy only a couple small lighters and a larger amount of fuel however, this will allow you to save some money and it’s also going to help you conserve space. It may not seem like it, but a couple cans of fuel will take less room than the large number of lighters you’ll want to take if you can’t refill them. 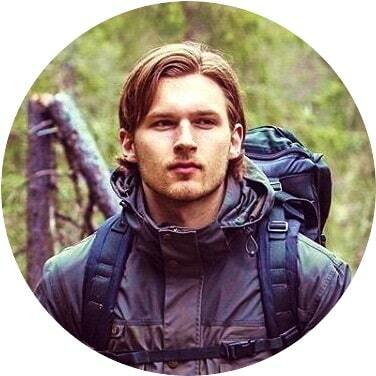 When you think about using a lighter on your survival journey it’s likely that you’re not even thinking about all the different ways that it can work for you. For most people, the only thing they think of when they think about lighters is how they’re going to start a fire, but that’s not the only thing they’re good for. Before you get one for yourself you want to make sure that you know all the ways you’ll need to use it because that’s going to help you understand which one is the best option for you and your family. Of course, starting a fire is a great reason to have a lighter. There are plenty of other ways to go about the process but if you do have a lighter it’s going to be a whole lot easier to settle down for the night with your family. You’re almost always going to need that fire at night, after all, so the faster you can get it going the better off you’re going to be. Just about any lighter is going to help you start a fire however, so you’ll be prepared for the cold nights (and even warm ones because fire keeps away other animals). Why not take a look at our review on fire sticks to give you more options. Having a light is always going to be important because most of the actual work that you’re going to do will be in the dark. If you’re trying to keep your family safe in survival situations you want to make sure that you keep moving during the day, when it’s easier to be found and you stop at night. That means any repairs that need to be made to your supplies, cooking, building a fire or anything else need to be done in the dark. A lighter can provide a small amount of light to let you do what you need to without letting other people know you’re there. 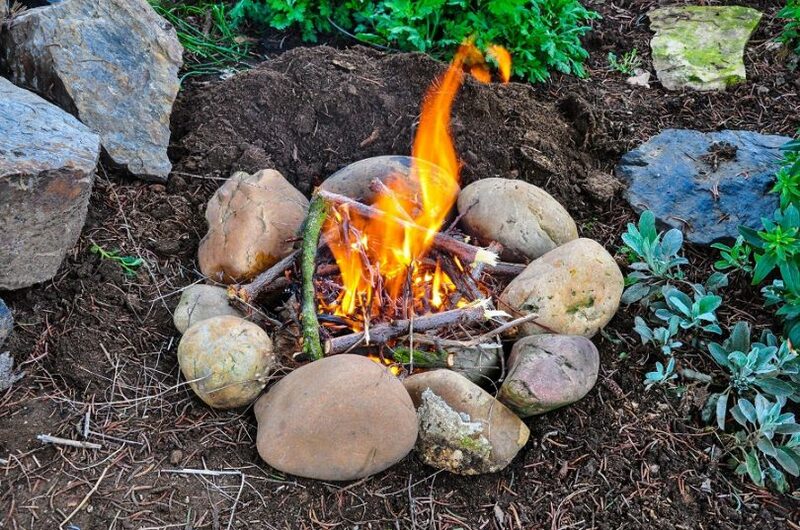 If you don’t have the ability to set up a large fire a small lighter can actually give off a decent amount of heat. It’s not going to be the same as if you has even a small fire going, but it can definitely help a little. Of course, if you have the ability and you need to stay warm the best thing you can do is build a fire. But if you’re trying to stay hidden or make sure that no one know where you’re going it can be a better way to provide just a small amount of heat at a time, without a lot of light to notify others of your whereabouts. Of course, this may seem like an obvious one but there are plenty of reasons that you might need to burn something without trying to destroy it. For example, paracord is great for a number of things but if you don’t burn the ends it can easily unravel. 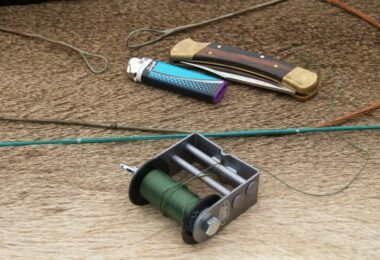 Having a lighter to help you take care of this is extremely important so you can use the paracord for whatever you need, whether it’s setting up your own tent, hanging supplies out of reach of animals or just about anything else. You want to make sure you’re prepared for anything after all. If you’re going to get a refillable lighter you need to know what type of fuel it uses. That way you can make sure you have extra on hand when you need to refill it and you can also make sure that you’re not going to break the lighter by putting the wrong thing in it. You definitely don’t want to have those kinds of problems when it comes time to head out on your own and now you don’t have the fuel or any way to get the fuel that you need. Before you purchase a lighter you want to make sure you know what type of fuel it’s going to need and also how you’re going to get that fuel. Most are going to be simple because they will use butane, which is easy to find in most stores, however other lighters may require different types of fuel or even proprietary fuel from the manufacturer and you want to know about that before you spend your money on it. You want something you’re going to be able to get your hands on when you need it, after all. This is probably the type of lighter fluid that you’re most familiar with because it’s the one that’s used in nearly all lighters. It’s not overly expensive and it’s easy to get started in your lighter. It’s very flammable and it’s entirely colorless as well as being very easy to put into liquid form. If you have a lighter and you don’t know what is in it, it’s probably butane. This is a less common alternative to butane in typical lighters. It’s more common in burners though if your lighter has an actual wick you may have this type of fuel. It’s a little more difficult to find but it is extremely flammable and actually burns hotter than butane. This is why it can be a benefit in some situations because it’s going to give you a whole lot more heat even in a small quantity. That does make it extremely volatile however so you want to be very careful with it. Now charcoal is actually a type of lighter fluid as well and not just a brick you use in your grill. Though the lighter fluid also is usually for grills it can be used in other areas as well. 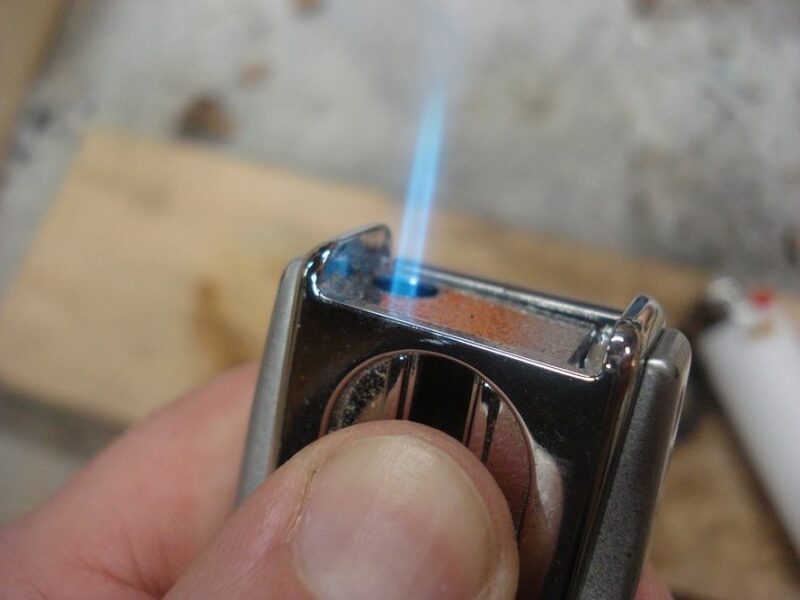 You’re not very likely to find this in a regular lighter but you might in some torches designed for grilling. 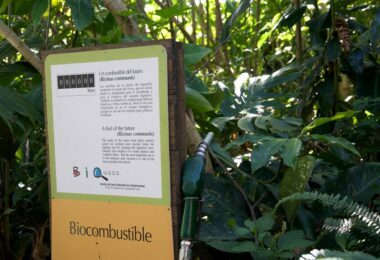 It’s made with a petroleum solvent so you can easily start up your fire and it’s also going to be relatively easy to find because it is commonly used for charcoal grills. 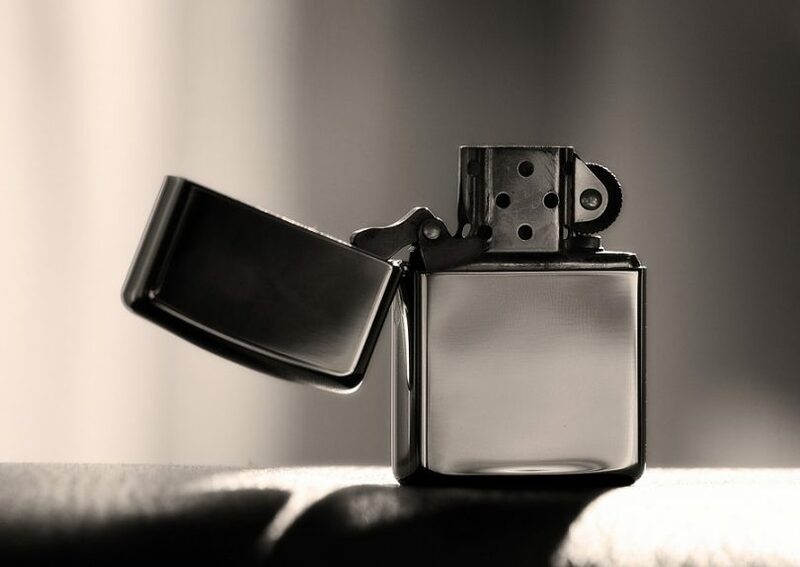 No matter what your plans are for your lighter, you want to be sure that you have the right one for your situation and that you’re prepared for whatever might happen. 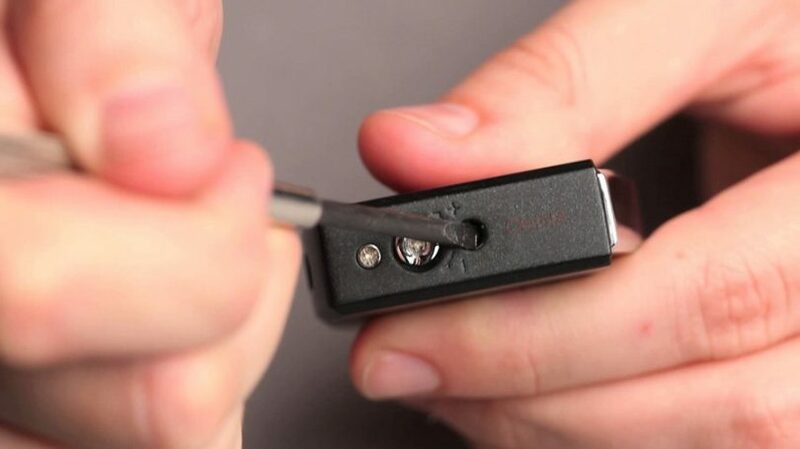 You definitely don’t want to spend a lot of money on a lighter to find out it doesn’t work when you need it and you don’t want to buy a cheap lighter just to save money and find out that it’s not going to last. There’s a good balance between how much money you really need to spend and the features that you’re going to get in the end. So make sure you’re paying careful attention to that balance. The types of lighters available vary greatly and even if you’re sure you have the one you want you might want to try it out. Make sure you can use it easily. Make sure you can refill it easily and definitely test the features. You don’t want to expect that it’s going to work one way and find out in the middle of a disaster that it’s not what you expected. You should know absolutely everything about all of your survival tools long before you ever find yourself needing to rely on them. That’s how you’re going to keep your family safe, no matter what. 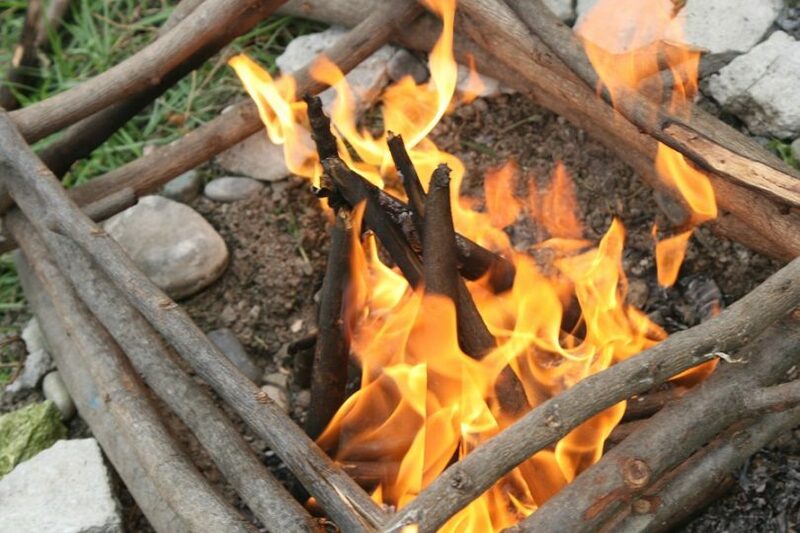 Take a look at the best survival gadgets for your needs.